Many of the customers who find their way to RBB or other expert job shops, often do so by surprise. 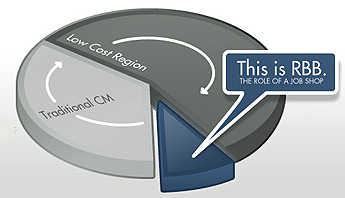 Several industry dynamics put the small batch customer at a disadvantage. By “small batch customer” I am referring to the size of their typical order, not the size of the customer! Many large firms have dozens or even hundreds of electronic assemblies that fit the above description. When batch sizes are high, buyers can easily find reputable contract manufacturers who will compete aggressively for the business. When batch sizes start small but are expected to grow substantially, the pressure can be high to for this to materialize – at the risk of price and service penalties if it does not. When batch sizes are low and variable, buyers may be lucky to even get a quote! Out of necessity, some of these companies reluctantly decide to do their own circuit board assembly. After several years of struggling to pay back the investments in equipment and people to make this work, they happily stumble across a hidden gem like RBB or another highly tuned small batch job shop. 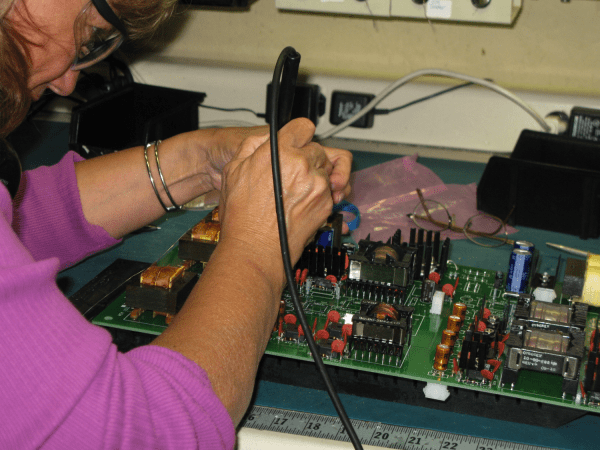 The initial response we get from many OEM’s who have been doing their own circuit board assembly is either relief or frustration. Relief that there finally is a well-matched partner for their needs, and frustration that they hadn’t found us sooner. There are solutions to the inherent difficulties of the small batch world but it takes a focused factory to tackle them as a unified system. It helps when there is enough business overall so that competitive pricing and excellent service in small batches can be maintained over time. This is what RBB is all about. No longer do batch sizes need to be high to get great pricing and service. In fact, many job shop customers are learning to manage their cash better by reducing the size of their batches – a far cry from where they started. Regardless of whether you have large batch needs, if you have ongoing small batch needs then it may make sense to explore whether a job shop like RBB can save you time, hassle and money. Simply google “small batch electronics” or “electronic job shop” to begin your search for a partner. You’ll be glad you did. For more information about how to lower your costs for small batch work, increase your manufacturing capacity and expand your service offerings for your customer check out our "How to Handle Your Small Batches Profitably" video.